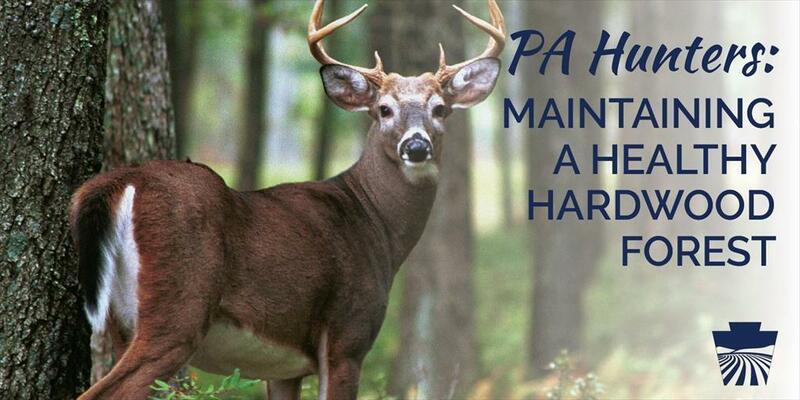 ​Hunting has been a part of Pennsylvania’s heritage for centuries, and it’s the single most effective way to keep the deer population in balance. An overpopulation of deer is a major threat to regenerating a healthy forest. Deer are browsers, and each day they eat six to eight pounds of small seedlings, saplings, and twigs and leaves from low hanging trees. In heavily deer-populated forests you can often see a “browse line” in summer months, with little to no green vegetation below six feet. In those areas the diversity of hardwood and plant species that grew in Penn’s Woods for centuries is threatened, and is more likely to be replaced by a few species that are not preferred by deer. Act as a slow release source of nutrients such as nitrogen and phosphorus into the ecosystem. Deer are unlikely to walk through the sharp and brittle dead sticks in slash to eat the seedlings growing there for fear of injuring themselves. Unfortunately, many land owners do not like the look of slash left in the forest, so they clean it up. This, in turn, causes further problems for the regeneration of the forest.